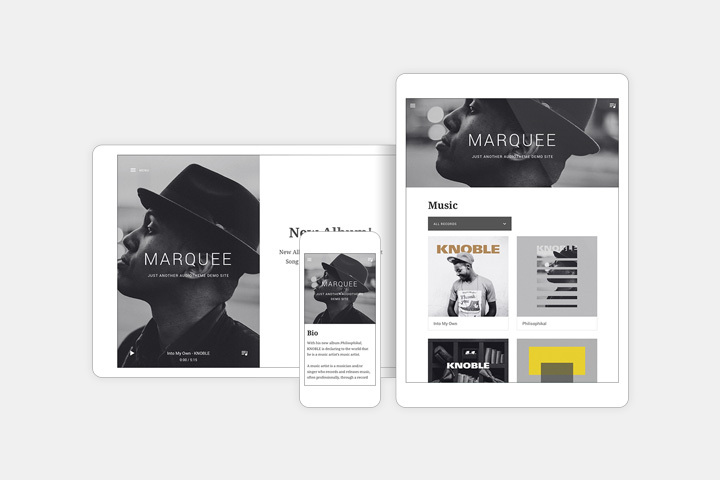 A theme designed to give you the headliner status you deserve. 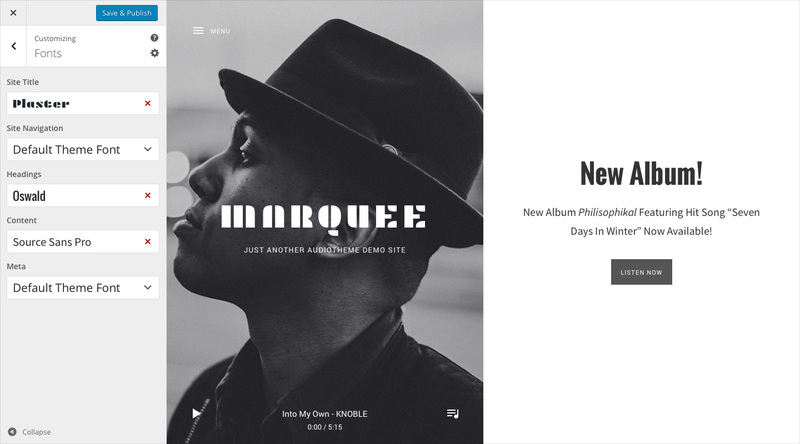 Marquee features a distinct split screen layout with prominent branding on the left and content on the right for desktop-sized screens. 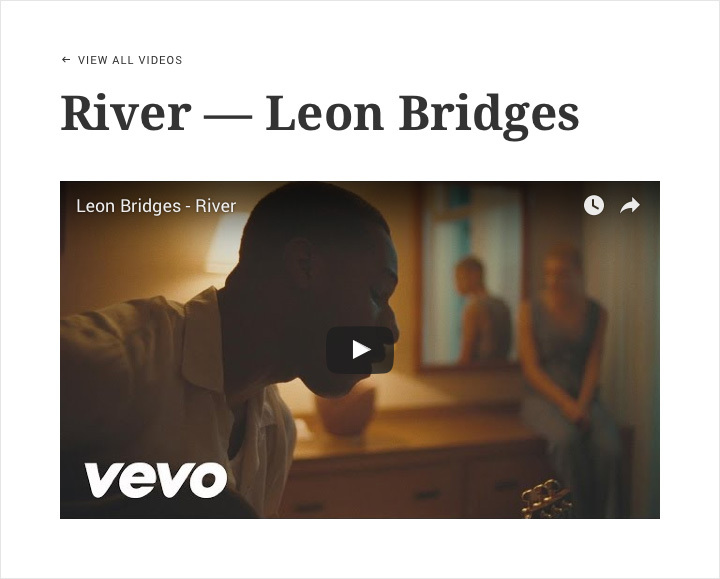 Two off-screen panels can be toggled to reveal your navigation and an optional site-wide player. 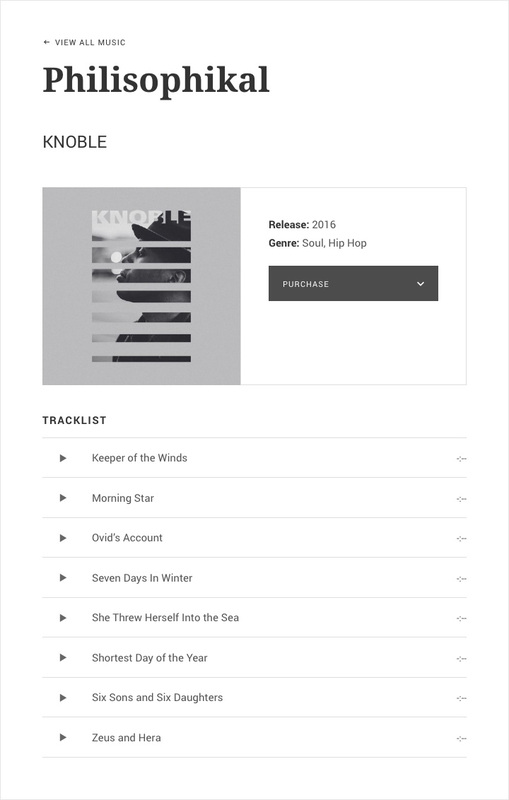 The site-wide player gives you the opportunity to highlight a custom audio playlist that lets fans listen to your music while they browse your site. 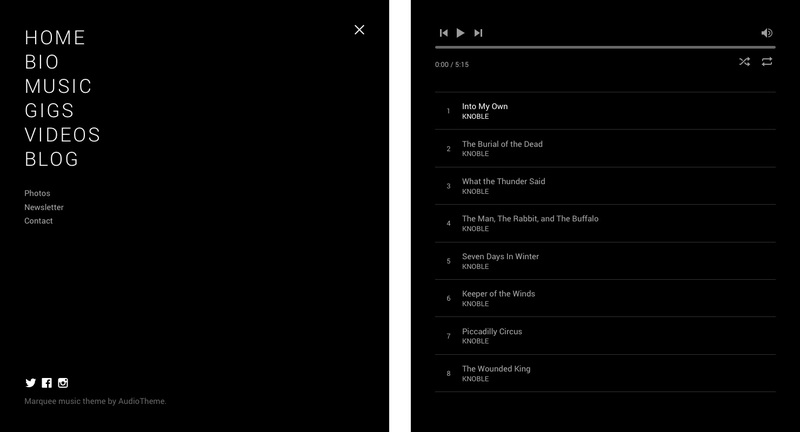 The current track displays by default while the rest of your playlist is conveniently stored in an off-screen panel and accessed with a playlist toggle. 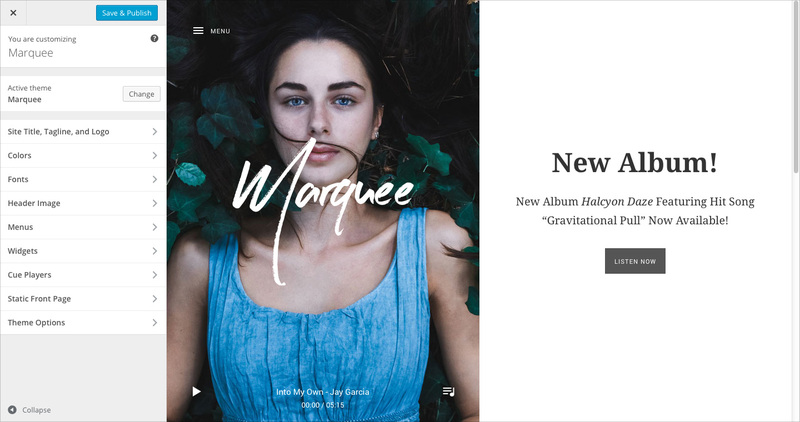 “Fast page loading” is a new feature in Marquee that creates a snappy, app-like experience on your website by loading content in the background and inserting it into the page when its ready. 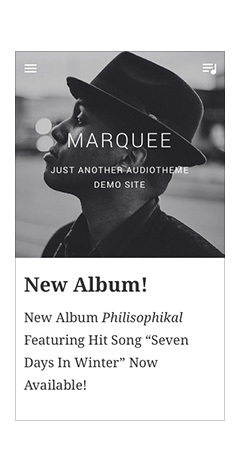 Aside from speed benefits, turning fast page loading on introduces a truly seamless listening environment when coupled with Marquee‘s site-wide player. * Go ahead and check it out in the demo! Use the Customizer to easily add a site title and tagline or upload your own logo and header image. Beautiful fonts make for a better browsing and more expressive viewing experience. 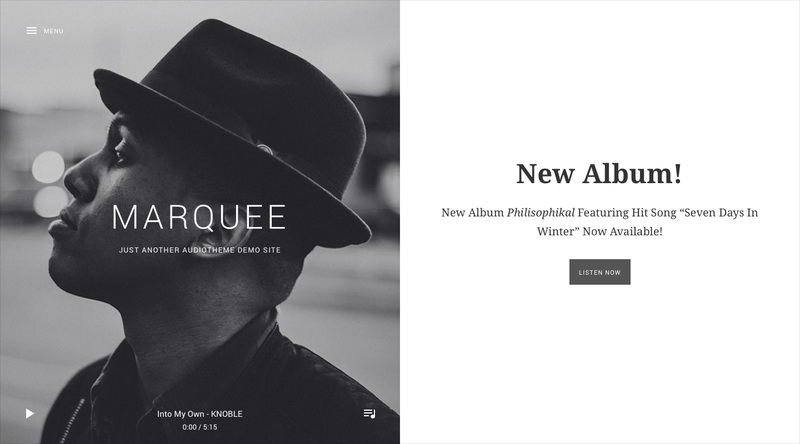 With Marquee, you have the ability to customize your theme with 30+ hand-picked Google fonts. If you’re a Typekit customer, we’ve got you covered there too. 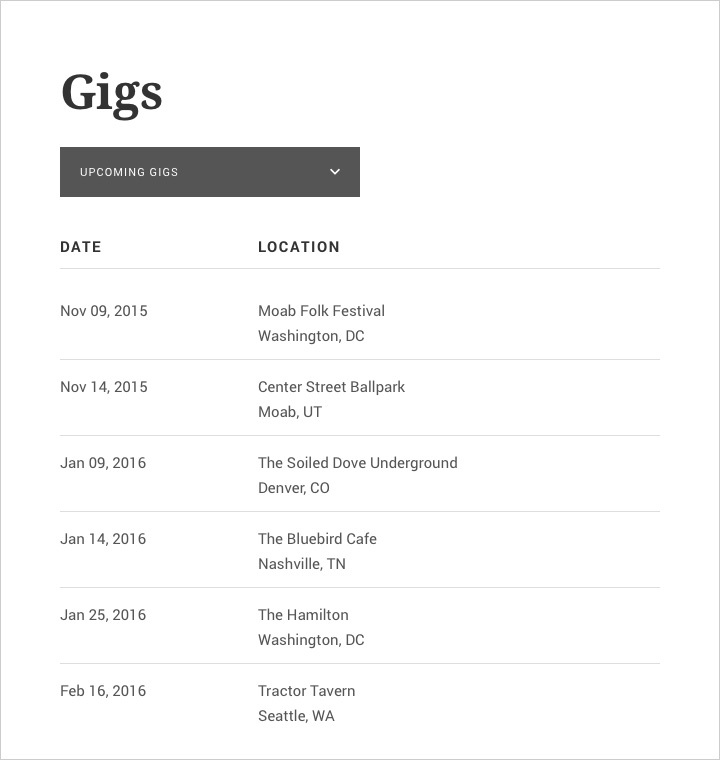 Display a list of upcoming gigs to let your fans know where you’ll be playing. 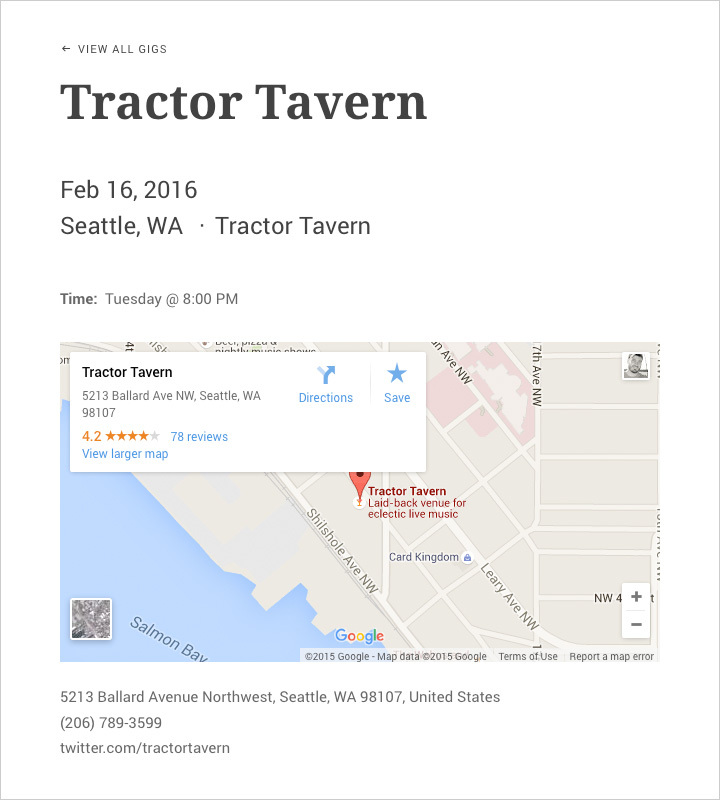 The list automatically updates to keep your next date at the top. 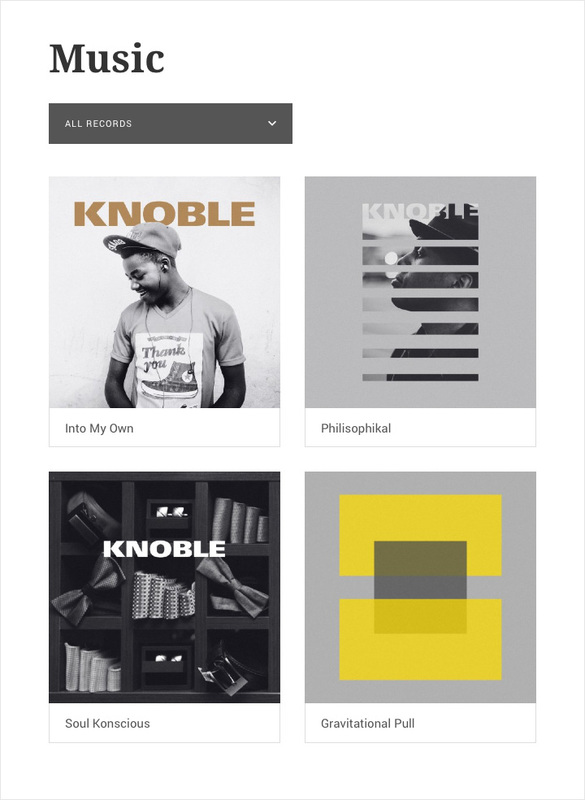 Like the gig archive, a custom menu can be created to link to separate album and single archives, or to add external links. 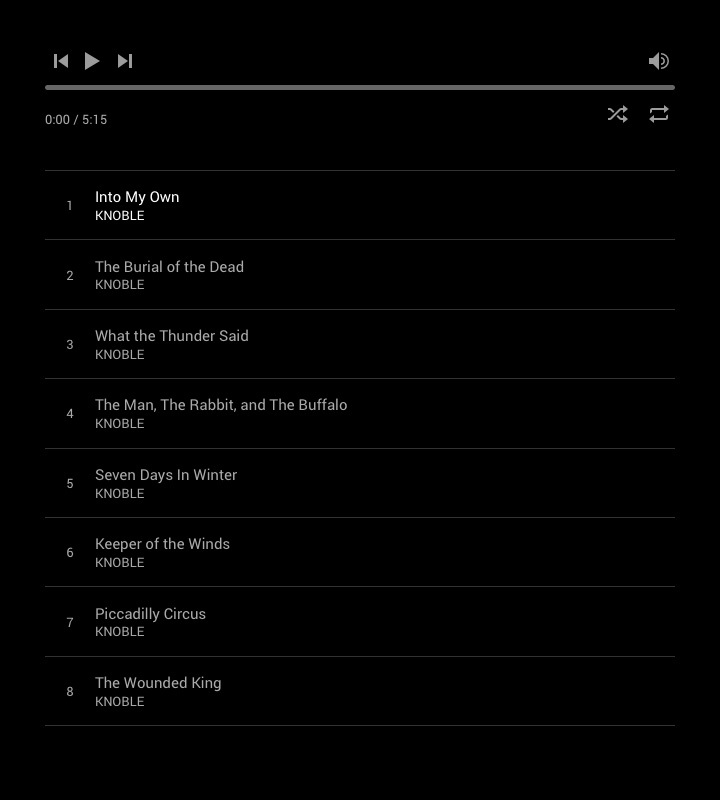 Managing and displaying your own video library is a breeze with the AudioTheme plugin. Add your latest YouTube, Vimeo, or other supported video service by simply providing a URL. 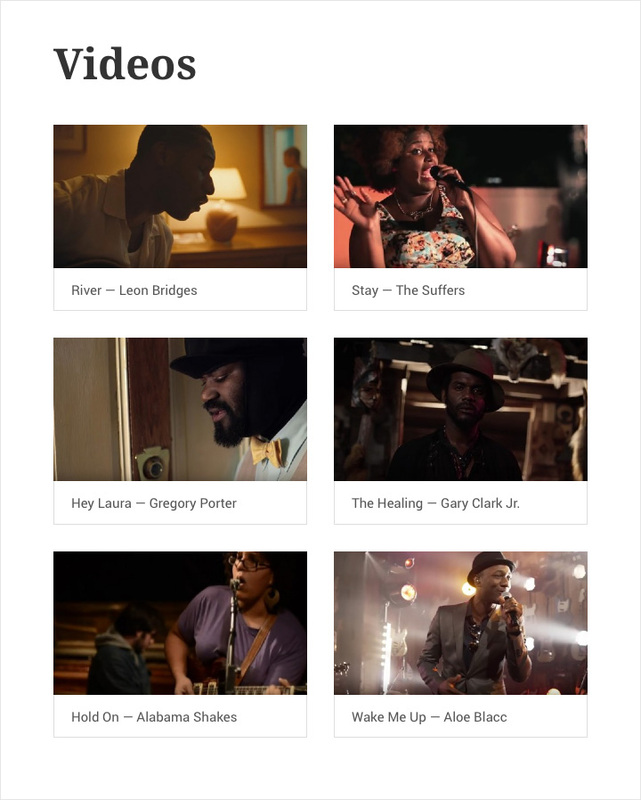 Marquee will handle the embedding and responsive video support. 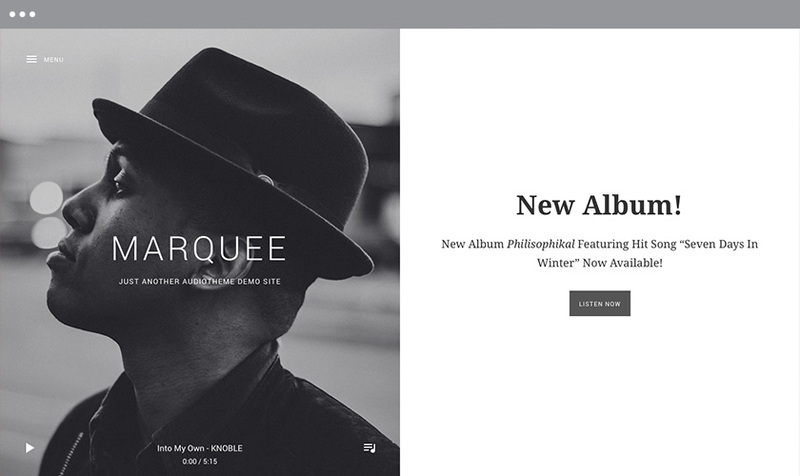 Marquee is fully responsive, allowing visitors to access your site on any device, from mobile to desktop. *Seamless audio playback only works with fast page loading turned on and may not work in all browsers or devices.